One of our favourite photos, and certainly the photo we get the most comments about, is the image above. It captures everything that Their Beautiful Game is about – a boy with his ball, home made goals on a makeshift pitch, the white wall behind splattered with marks. The photo was taken as we were on our way to running an afternoon coaching session with Nimobi FC – a girl’s football club in a slum district of Accra, Ghana in 2012. As we walked through the backstreets we came across the boy who was playing with a ball that was missing panels, others loosely re-stitched to hold it together, the leather completely worn and scuffed. We watched as he played with the ball, dribbling past imaginary defenders before shooting into the small goals made with a mixture of wood and concrete piping. Sometimes he scored, sometimes he missed, but for all intents and purposes as far as he was concerned, he could’ve been playing at the Nou Camp, Wembley or the Maracana. After we’d finished our coaching session, we walked back the way we’d come and even though it was early evening, the boy was still there, the dribbling still happening, the goal still standing, the ball still somehow miraculously functioning. We had a few balls of our own, so we asked him if he would like one. It was one of many magical moments that we’ve had at Their Beautiful Game as the boy told us that he’d never had a “real ball” before. As a street child, he slept behind the wall in the photo, which is a derelict building with no roof that backs out onto wasteland. He talked us through how he’d built the goals – where he’d found the materials, how he repairs them and keeps his pitch free of as much debris as possible. He then asked if he could have his photo taken and have us show it to him. He stood proudly in front of his goals. Ball at his feet. He saw the image on the screen of the digital camera (the first time he’d had his picture taken), but we were never able to get a photograph back to him. Hopefully he’s still using the ball, and scoring the kind of goals that dreams are made of. Supporter Of The Month: May 2017. 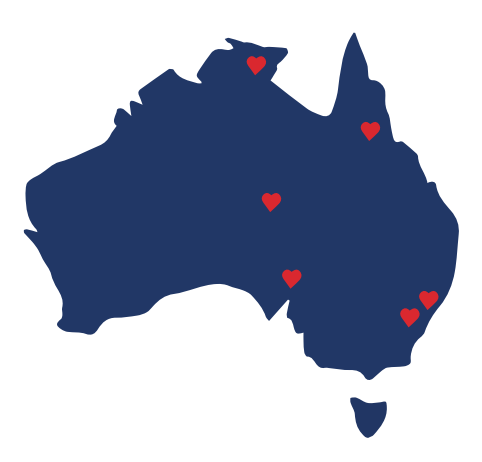 Supporter of the Month for May 2017 goes to Sydney Grammar Prep School who collected 100 pairs of boots and $350 to donate to Their Beautiful Game! Great work by the Year 4, 5 and 6 students and their teacher Steve Lupton! 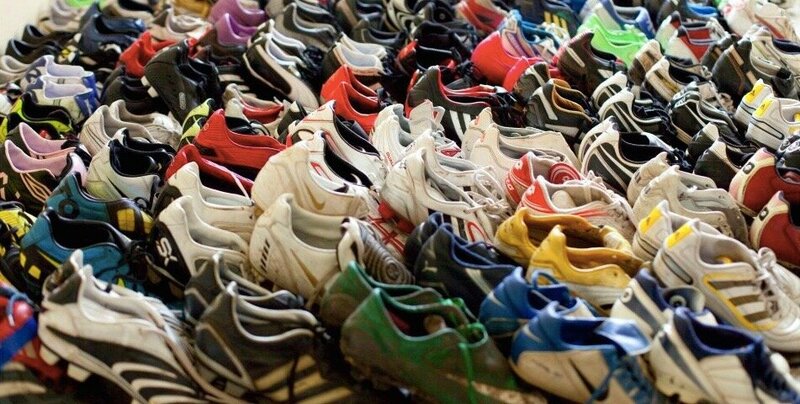 The boots collected and money raised will go to supporting a range football projects across the developing world. The Australian Sports Foundation (ASF) support a range of organisations that provide resources, sporting facilities and opportunities nationwide, from a grass roots level to elite sports men and women.The ASF recently published its 2016 / 17 research into the reasons behind donations to not for profit sporting causes – providing insights about key donor motivations, and needs and expectations related to sports giving. As part of our work, Their Beautiful Game keeps up to date with the latest reports and trends in the not for profit sector, ensuring we apply the findings to our own practices to make our giving effective and efficient for both those who donate and those we support. As far as possible, we aim to ensure that the process of donation is a rewarding one, and meets the points outlined below. 1) Sport is good for our health, wellbeing and the community. Sport is known to provide psychological benefits such as bringing positivity and calmness into people’s lives, building self-esteem, confidence, and goal setting. Sport also provides a range of useful life skills such as developing discipline, building mutual respect, and encouraging teamwork. 2) Giving to sporting causes is like a boomerang. It returns powerful psychological rewards to donors. Giving comes from the heart. Donor motivations are mostly subconscious and emotional, deeply rooted in the inner self, i.e. their early life experiences, personal beliefs, values, goals, desires, hopes and needs. While donors give to help make a difference, like a returning boomerang, they receive a range of psychological rewards such as feeling good when they give, personal satisfaction, sense of belonging to their club, improved health and wellbeing, and leaving a legacy. 3) Giving to sport affects people’s emotional well being. The psychological benefits of giving include the good feeling derived when people “do the right thing”, the pleasurable feeling of moral satisfaction, the desire to view oneself as compassionate and kind and attaining an emotionally positive experience, also known as the “warmglow effect” or “helper’s high”. Indeed, giving to sport can lead to positive emotions such as warmth and happiness, while refusing to do so can lead to negative emotions, such as guilt. Beyond short-term emotional perks, giving has several long-term benefits as well. People like to think of themselves as kind and giving. Thus, giving to sport doesn’t just help the causes being supported, it also helps the givers by making them happier, improving their self-esteem, their selfidentity, and helping them feel more connected to their club and the rest of the world. Giving to sport can have positive effects on donors’ overall well-being. 4) Giving to sport is very personal and tightly linked to dedication and commitment to the sport. Donors like to be present in their giving experience by being personally connected with the cause and beneficiary. A key contributor to that is delivering an enjoyable experience, including consideration of what the donor cares about the most, getting them involved in co-creating the fundraising project, and keeping them updated on project progress and outcomes. 5) Satisfaction with the donation experience drives donors’ willingness to give again. For donors, the way they are engaged throughout the donation process and their satisfaction with the overall donation experience drives their loyalty or willingness to give again. As a result of giving, donors could experience a range of psychological rewards. Hence, engaging with them after they have given is important as this reassures them that the club still cares about them and values their support. Donors also like to feel greater sense of belonging, increased social connection, and appreciation. It’s always nice to work with new football organisations and their players and see the social impact that donations can make. Recently, Their Beautiful Game sent a range of equipment over to the Shree Pokra Secondary School in Manegau, Nepal, for the first time, ensuring their footballers have the things they need to play! Pictured is 11 year old Bihma with his new kit, ball and trainers. We look forward to supporting the young footballers of Shree Pokra over the coming months! It was great to get our work under way on the sub continent this week as our first arrival of football equipment – boots, balls and training gear – arrived in Nagpur, India. Their Beautiful Game has partnered up with Slum Soccer – a nationwide charity football organisation based in India which connects isolated or vulnerable young people living in poverty, helping them to develop life skills such as team work, resilience and leadership. Slum Soccer’s training centres provide safe places free of discrimination, positive role models and and space to enjoy playing football. We look forward to continuing to support Slum Soccer and their social impact projects in the near future! 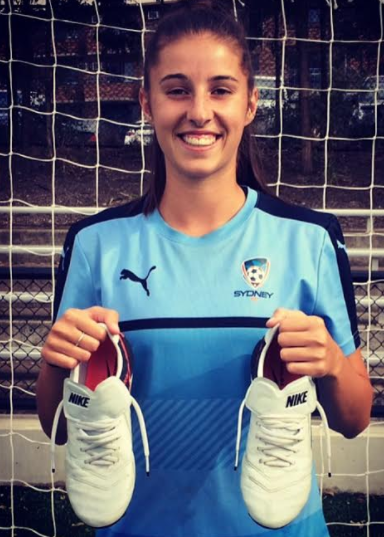 Matildas and W-League Midfielder Amy Harrison donates her shooting boots! Matildas and W-League sensation Amy Harrison donated her boots to Their Beautiful Game recently. Amy, who was named Westfield W-League Young Player of the Year in 2014 / 15, took time out of her training schedule to pass on her shooting boots to a player in need! Thanks Amy! Their Beautiful Game ventured down new paths this week with our first round of donations to The Big Issue Street Soccer Program in Sydney. Each Monday afternoon, The Big Issue runs football clinics and matches for the homeless across Sydney – providing a safe, fun environment to play football, a space to socialise and meet friends…and get fit at the same time! Their Beautiful Game will be donating to the Street Soccer Program over the course of 2017 – providing indoor soccer trainers, balls and kit. A great addition to our social impact projects! Supporter Of The Month: February 2017. February’s Supporter Of The Month is Rick Woodward – Province Real Estate Agent and Northbridge FC Captain. Rick contacted Their Beautiful Game with an idea to hold a BBQ to help raise funds and awareness in the local North Shore community here in Sydney. Rick organised volunteers, catering and publicised the event on our behalf which was a great success! Donations came in by the car load and will soon be on their way to those that can put boots, balls and team strips to good use very soon! Thanks Rick for your time and generosity! Supporter Of The Month: January 2017. Many thanks must go to Theo Adamou who recently contacted Their Beautiful Game to offer his support. Theo, who lives in Holland, raises money for a charity of his own choosing each year by creating and selling a CD. Previously, he has raised money for Orange Sky Laundry and WEAVE, and in December 2016 reached out to us to say that he’d like to support our football projects across the globe. 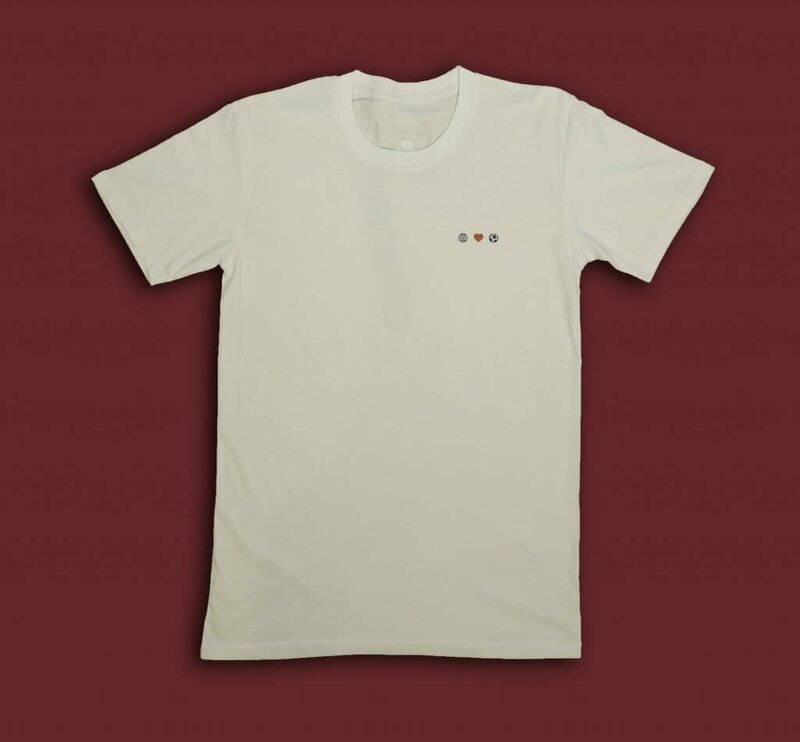 Over $2500 has been raised! Thanks for your thoughtfulness, time and generosity in this initiative Theo! Great work from 11 year old Scarlett and the team @wegiveaboot in Melbourne who collected 20 pairs of boots to donate to Their Beautiful Game. These boots will be on their way very soon to a football club who can put them to good use!